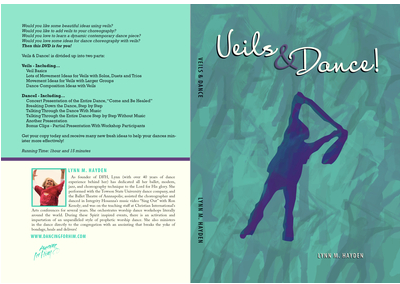 Have you ever agreed to dance and wished you hadn’t? 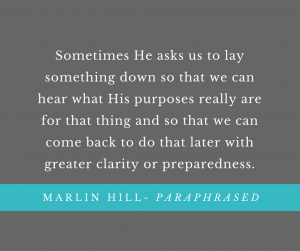 Have you ever contemplated backing out of a ministry assignment the night before? Do you ever question your call to dance in the middle of an assignment? 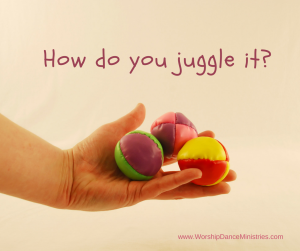 What do you do when you are asked to choreograph but feel your plate is already full? Is it okay to reuse choreography from a dance? How do you take a solo dance and turn it into a group dance? 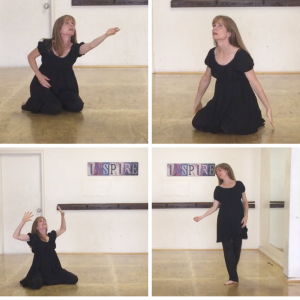 This year, while I have been far more silent on my blog than I would like, I’ve had the joy of being very active in choreographing and dancing, in teaching live classes, leading an online study group, and choreographing for another church. If I someone had presented me with all the assignments at once and asked me if I could take them on this year, I likely would have declined a couple of them. However, with each opportunity that came my way, I felt the inner “yes” and went ahead, and for each assignment, I have been given what I need to complete it. More than that, I have experienced a synergy between the assignments that has been a joy and a delight. Is it okay to dance without music? While music and dance go hand in hand, using the spoken word without music can be very powerful, especially to tell a story, bring a word from the Lord, or to teach through your dance. If you find a portion of scripture that jumps off the page to you, you don’t have to find a song about that scripture to use it to minister. You can put the spoken word to movement. Likewise, if you find a poem or quote that you think would speak powerfully to others, embodying it with movement can really bring the word to life. Are you taking any dance classes right now? If not, I encourage you to, and if you don’t feel you can, I share a super affordable resource for improving your training at home. 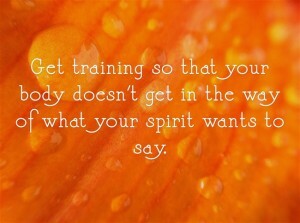 As worship dancer said at a workshop I attended, Get training so that your body doesn’t get in the way of what your spirit wants to say. Jocelyn Richard, my mentor, always encourages her students invest in their training, to take live classes in the studio. 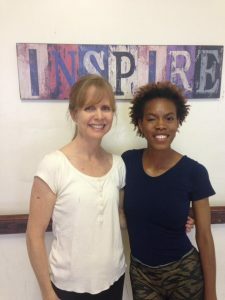 This week, I took a modern dance class where I met another sister who has been mentored by Jocelyn, Jennifer Oliver. We took the picture below for Jocelyn, to let her know we were together and were investing in our training. We wanted to make her proud. I’ve been taking another modern dance class on Saturdays for the past couple of years. You’ve probably heard me share about how challenging this class is. The other students are way above my level, enough so that I often have to talk myself into going (Read my story about this class When is it Okay to Give Up? If you need encouragement.) Even though I often feel super clumsy in class, I can see a big difference in my technique. Pastor Lynn noticed it at the last conference I attended with her. There is nothing like being in a live class where you get stretched beyond your comfort level and receive correction. Having said that, few of us have the time or resources to take as many live classes as we would like to. We are mothers with kids at home, or we work full time, or we are busy with our own dance ministries. And live classes are expensive. They’re worth it, but you still have to have the money in the bank to write the check. So, most of us don’t take as many classes as we’d like. So, today, I want to share with you three free video tutorials and a DVD that you can use at home. Last October, I felt led to take a sabbatical from my blog and email community for a season. That decision came after a soul searching conversation with my friend Marlita Hill, who has a way of helping draw out from me my heart concerns as well as hopes. You can read more about that conversation here. Now, I’m standing at the other end of that sabbatical and it’s time to share the gifts that came out of that time with the hope that it will encourage you. 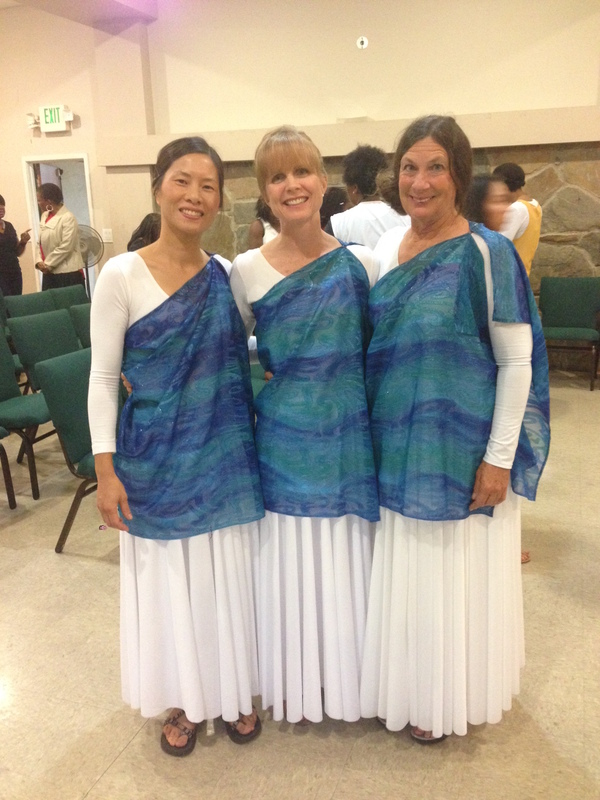 Veils are a beautiful addition to worship dance. They add beauty, glory, drama and effect to your dance. 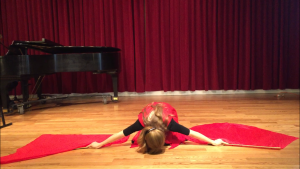 They help tell a story, and you can use them to communicate emotion when you dance. In this video, you’ll learn techniques for using veils in your worship dances and see several examples of dances using veils in solo dances and also in a group dance. 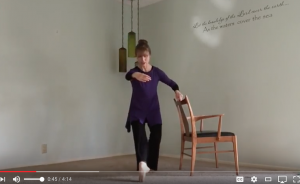 The teaching from this video comes from the Veils and Dance DVD by Lynn Hayden. There are even more creative ideas for using veils on this DVD as well as an entire choreographed dance for a group of three or four dancers. 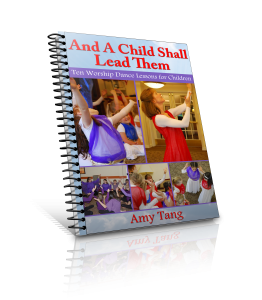 I took the ideas from this DVD to create an entirely new dance that ministered powerfully to our congregation. You can watch this here and also read about 4 things I learned about preparing a group dance. The veil used in this dance was made from 1 yard of 42″ wide fabric, cut down the center to form two veils with 21″ width. Then, I simply sewed a hem around the border to prevent the fabric from fraying. Often, at JoAnne’s fabrics, I will look through the remnants for fabric to create new veils. It’s inexpensive and often there are beautiful pieces from which to choose. I’ve also used these veils as tunics in other worship dances by simply simply sewing a hook and eye on them so they could be attached at the shoulders. Adding depth and interest to your choreography is simple, but it is not easy. I think each participant at last Saturday’s choreography workshop with Marlita Hill in Pasadena would echo that sentiment. 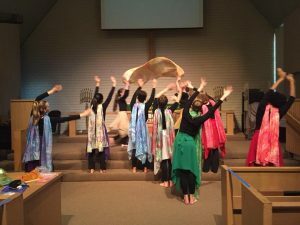 Going into the workshop, Marlita assured that we would learn how to turn simple movements into creative phrases that fill the space, song, and stage and communicate God’s heart. She also said we would learn how to communicate our choreography to others so that they can easily and effectively follow. We did both of those things. Marlita walked us through a series of exercises that taught a slice of Laban’s Analysis of Movement in a way that was simpler than anything else I’ve heard before. It made complex choreography teaching accessible. But it was not easy. We worked hard. Each exercise called us to work harder, dig deeper, and stretch further. The results were very satisfying. Each of us walked away having choreographed a short dance that told a story about who we are. In addition, one of us had the opportunity to teach her dance to the rest of us. Marlita coached her on how to teach dancers to turn (Who among us hasn’t asked our students to turn, and then stepped back and watched the turns go in varying directions, losing our unity at that point? ), travel, and replicate timing in a way that preserved the integrity of the dance and the team unity. So, thank you to those who prayed for this workshop. We felt your prayers and they were effective. And thank you to each woman who participated, who took risks, dug deeper, and shared their movements with us. Watch this 3-minute video recap. Just watching this short clip, you’ll get ideas for how to take your own simple movements and add depth, interest, and power.